"What to do when the one you love doesn't love you back" - That is a title of a blog entry I ran across on a totally different subject than this... but it's fitting. That's how it's been for the past year or so when working on this blog. I love CNN, and most of the time was accused of just regurgitating their press releases and saying nothing but good. That may have been the case, but when we did give CNN their medicine, boy did I hear about it! Organizations need to be able to take the bad along with the good - especially when there's far less bad than good. That takes the fun out of it for me. I'm a fan. First and foremost. I'm not a blogger - I just use blog software to get the job done. Sure, sometimes I don't want to give away a source, and that MAY end up making me a blogger. I want to connect fans with information about their favorite CNN anchors, correspondents, and shows. It was fun getting to beat everyone to the punch breaking the news with the details about Robin Meade's new branded morning show. It's time to move on - it's been fun. The articles are still up in case you'd like a look back. Thanks so so so much to everyone who's helped make this blog what it is today. You've all been such a huge help! I couldn't have done it without you. I plan on keeping this domain and my CNNO twitter account - unless I can get a good offer for it! E-Mail me - mail@cnnobservations.com if you're interested. Thanks for the memories! You can catch-up with my other goings-on at the links below. Today's Page Six article in the New York Post mentions that Out Front host Erin Burnett is demanding a sizeable chunk of change if she were to move to the morning block of programming at CNN. She has a clause in her contract that requires CNN to air her show in prime time. If new boss Jeff Zucker wants her to get up at 4 a.m., Erin is demanding a sizable chunk of cash — more than her $2.5 million salary — to buy her out of the prime-time clause. Insiders say Zucker believes she should be grateful she’s being offered a marquee job and he has started to look elsewhere for an anchor to partner with Cuomo. Burnett is telling her staff she doesn’t want to go to the morning. “What she means is she doesn’t want to go at the old price,” sniffed a source. What do you think? Do you agree with Zucker or do you agree with Burnett? Who would you like to see paired with Chris Cuomo in the mornings? CNN Press Release - On Monday, February 18, CNN International anchor Michael Holmes will join Suzanne Malveaux as co-anchor of Newsroom International. Malveaux and Holmes will take viewers around the world in 60 minutes covering the day's most important global news, trends and destinations. In addition to Newsroom International on CNN/US, Holmes will continue to anchor CNN International's daily news program, International Desk. CNN has acquired the non-fiction series Crimes of the Century, which explores historic news events in depth, from the Madoff scandal to the Oklahoma City bombing. 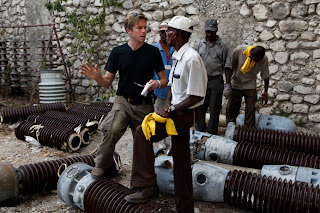 The series is being executive produced by acclaimed director Ridley Scott along with David Zucker and Mary Lisio of Scott Free Productions, which will air on weekends on CNN/US beginning in 2013. This acquisition is another step in our mission to broaden the scope of programming on CNN and give viewers even more of the stories and information that impact their lives. It is an expertly-produced, captivating series that delves deeply into some of the most fascinating news events of our day that demand further scrutiny, said Vinnie Malhotra, senior vice president of development and acquisitions for CNN Worldwide. Each episode of the series examines a major news event – one that attracted national attention and helped define the era. With a visual style that includes CGI and animation, the program places the viewer at the scene of the crime employing never-before-scene-footage and interviews with witnesses, victims, and investigators of crimes that became part of the Zeitgeist. Malhotra and Amy Entelis, senior vice president of talent and content development for CNN Worldwide, oversee the CNN program development department. Crimes of the Century is among the department's recent series acquisitions that include Anthony Bourdain' Parts Unknown and Morgan Spurlock's Inside Man, both of which will also air weekends on CNN in April 2013. CNN Worldwide, a division of Turner Broadcasting System, Inc., a Time Warner Company, is the most trusted source for news and information. Its reach extends to nine cable and satellite television networks; one private place-based network; two radio networks; wireless devices around the world; CNN Digital Network, the No. 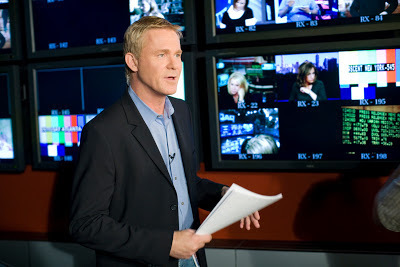 1 network of news Web sites in the United States; CNN Newsource, the world's most extensively-syndicated news service; and strategic international partnerships within both television and the digital media. CNN Press Release - CNN's Ivan Watson (@IvanCNN) has been promoted to Senior International Correspondent, it was announced today by Parisa Khosravi, Senior Vice President of International Newsgathering for CNN Worldwide. Watson, who is based at CNN Istanbul, joined the network four years ago and has since covered a number of major news events like the Haiti earthquake in 2010 and the Arab Spring. He's most recently reported from Syria, and has extensively covered the the impact that story has made in Turkey and the surrounding region. I am pleased to announce Ivan Watson's promotion to Senior International Correspondent. Ivan's excellent reporting speaks for itself, and we are proud to acknowledge his contribution to CNN's international coverage in the past few years. Turner Sports and CNN will partner to produce Bleacher Report branded sports programming including long-form specials and daily sports updates that will air on CNN and HLN, it was announced today by Lenny Daniels, executive vice president/chief operating officer for Turner Sports, and Ken Jautz, executive vice president, CNN/U.S. The first of the programming collaborations will be Kickoff in New Orleans: A CNN-Bleacher Report Special, a live one-hour show on CNN to be televised Saturday, Feb. 2, at 4 p.m. ET. And, beginning Tuesday, Feb. 5, CNN will air Bleacher Report sports updates daily as cut-in segments throughout morning broadcasts on CNN, as well as throughout the day on HLN. With information on the latest topics affecting sports teams and fans, these 3-4 minute segments will combine CNN newsgathering resources with the unique perspective of Bleacher Report to offer a comprehensive overview of sports news and information. Originating from New Orleans, the Super Bowl XLVII host city, Kickoff in New Orleans: A CNN-Bleacher Report Special, will include a series of features, interviews and profiles that capture the excitement the marquee event brings to the city. The show will be co-hosted by Ernie Johnson, host of TNT’s Sports Emmy Award-winning Inside the NBA, and Rachel Nichols, the newly-hired veteran sports reporter for CNN and Turner Sports. Guest appearances by NBC Sports analyst Cris Collinsworth and Fox Sports analyst Howie Long, both contributors to Behind the Mic on Bleacher Report, to preview the game. Interview with Archie Manning, former NFL quarterback with the New Orleans Saints and father of two Super Bowl winning quarterbacks, Peyton and Eli. Bleacher Report elements including highlights and notable performances from past Super Bowls, game perspective and more presented by Turner Sports host Jared Greenberg. A fan’s guide to New Orleans presented by former New Orleans Saints standout Deuce McAllister and SI swimsuit model Demaris Lewis. Interview with nine-year-old pee-wee football star and YouTube sensation Sam Gordon, along with a presentation of her video highlights and telestrated analysis of her play. Vignettes featuring New Orleans natives such as Troy Andrews (a.k.a. Trombone Shorty), a renowned trombone and trumpet player. Bleacher Report (B/R), a division of Turner Sports, is a leading publisher of original and entertaining sports content and one of the fastest growing sports media Web sites in the U.S. Since launching in 2008, B/R’s Web site has grown to an audience of more than 11 million monthly unique visitors. The company’s distinguished editorial team leads more than 2,000 contributors, and directs Bleacher Report’s unique data-driven approach to creating and programming content. The result is first-rate sports commentary that gives B/R’s audience the stories they want to read in real-time around the teams and topics they are most passionate about. In addition, more than 2.5 million users have installed B/R’s leading Team Stream™ mobile and tablet app, which provide a comprehensive mix of content that engages a broad array of sports fans at the team and topic level. Turner Sports, a division of Turner Broadcasting System, Inc., is an industry leader in televised and multimedia sports content, airing championship-level sporting events on TBS, TNT and truTV, and managing some of the most popular digital sports brands. Turner Sports’ television lineup includes the NBA, Major League Baseball, the NCAA Division I Men’s Basketball Championship, NASCAR and professional golf. The company’s digital portfolio includes Bleacher Report, NCAA.com and March Madness Live, and PGA.com, as well as an accompanying collection of mobile websites and connected device apps. Turner Sports and the NBA also jointly manage NBA Digital, which includes NBA TV, NBA.com, NBA LEAGUE PASS, NBA Mobile, the NBA Game Time App,NBADLEAGUE.com and WNBA.com. “We're just thrilled that a sports journalist of Rachel's stature and expertise will now be a regular part of the CNN lineup," said Zucker. "Her arrival, beginning next week, is an important step in expanding the range of programming and storytelling on CNN." 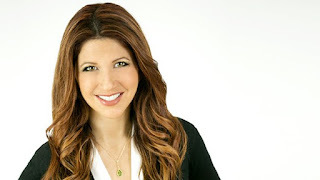 "Rachel is a high profile talent and skilled reporter and we are proud to have her join the Turner Broadcasting family," said Levy. "Rachel's broadcast experience covering a wide variety of assignments including breaking news, major sports events, human interest features and investigative pieces will be a perfect fit across Turner Sports' many properties and platforms." "I couldn't be more excited to join the CNN and Turner Sports family,” said Nichols. “I believe in Jeff’s vision for CNN, and have always admired the great work of Turner Sports and what David has done there. I’m looking forward to getting started at the Super Bowl." Prior to joining CNN and Turner Sports, Nichols spent nine years at ESPN, working as a correspondent for SportsCenter, NFL Countdown, NBA Countdown and the network's newsmagazine show, E:60, as well performing sideline duties on a number of Monday Night Football broadcasts. Earlier in her career, Nichols worked as a reporter for the Washington Post and the Fort Lauderdale Sun-Sentinel. 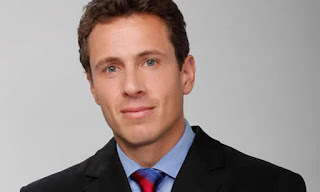 CNN Press Release - Award-winning anchor and investigative reporter Chris Cuomo is joining CNN. He will have a major role in a new CNN morning show and across the network, anchoring and reporting on major events, it was announced today by Jeff Zucker, President of CNN Worldwide. Prior to joining CNN, Cuomo was co-anchor of the Emmy Award-winning ABC News newsmagazine 20/20 and chief law and justice correspondent for ABC News. In just the last year, he booked major interviews in the Madoff scandal, Rutgers student case, the John Edwards scandal, and with Penn State Coach Jerry Sandusky’s victim No. 1. From September 2006 – December 2009, Cuomo was the news anchor for Good Morning America, and covered every major story at home and abroad during that time. Overseas, he was an embedded reporter in Pakistan, Afghanistan and Iraq. Domestically, he distinguished himself covering the continuing problem of shootings like Virginia Tech, Ft. Hood, and the Pennsylvania Amish school shootings; hurricanes Katrina and Rita; the Sago Mine collapse, and the Minneapolis bridge collapse in August 2007. Cuomo has been honored with numerous industry accolades for his investigative reporting including multiple Emmy nominations and awards, a Polk, a Peabody, two Edward R. Murrows, a Loeb and the American Bar Association Silver Gavel Award. CNN Press Release - Jeff Zucker will join CNN Worldwide as president of the multi-platform global news enterprise, it was announced today by Phil Kent, chairman and CEO of CNN parent company Turner Broadcasting System, Inc. In January 2013, Zucker will assume executive oversight of a portfolio of 23 branded news and information businesses that includes CNN/U.S., CNN International, CNN.com and HLN and reaches more than 2 billion people in some 200 countries around the world. Zucker will report to Kent and will be based at CNN in New York. Zucker started his 25-year career with NBC as a researcher for NBC Sports' coverage of the 1988 Summer Olympic Games and rose to president and chief executive officer of NBC Universal. He was named executive producer of Today in January 1992; under his eight-year leadership, the program was the most-watched morning news show and the most profitable program on television. Zucker went on to executive-produce NBC Nightly News with Tom Brokaw and the network's coverage of the Persian Gulf War, the 1993 and 1997 presidential inaugurations and the 2000 elections. He was promoted to president of NBC Entertainment, president of the NBC Entertainment, News & Cable group and president and CEO of the NBC Universal Television Group. Currently, Zucker is executive producer of the syndicated daytime show Katie. "Jeff's experience as a news executive is unmatched for its breadth and success," said Kent. "He built and sustained the number-one brand in morning news, and under his watch NBC's signature news programming set a standard for quality and professionalism. As a programmer, a brand-builder and a leader, he will bring energy and new thinking to CNN. I couldn't be happier to welcome him or more excited about what he'll accomplish here." "I am thrilled to join the distinguished team of journalists across the worldwide platforms of CNN," said Zucker. "The global reach and scale of the CNN brand is unparalleled in all of news. Outside of my family and the Miami Dolphins, there is nothing I am as passionate about as journalism. I spent the most rewarding years of my career as a journalist, and it's where I look forward to spending many more. I am grateful to Phil Kent for this opportunity, and I'm excited to return to daily newsgathering and compelling storytelling in a place that values those above all else." The original 24-hour news network, CNN has the greatest reach of any domestic news network. The CNN brand on television extends to 100 million households in the U.S. and 265 million households abroad, with significant online and mobile reach and a global newsgathering network with 45 locations. CNN signatures include Anderson Cooper 360°, The Situation Room with Wolf Blitzer, Piers Morgan Tonight, State of the Union, Amanpour and Quest Means Business, as well as award-winning documentaries, unrivaled breaking news coverage and peerless political reporting. CNN International will launch a new morning news program for Asia-Pacific viewers from this coming Monday. CNN Newsroom Live from Hong Kong is described by CNN as an "essential morning briefing ... reporting on the top stories from Asia Pacific and across the world, from business to sport, weather, technology and entertainment." The new program, anchored by Andrew Stevens and Patricia Wu, airs weekdays between 6:00am and 8:00am (Hong Kong). A 20 second promotional spot is below. In related news, Pauline Chiou replaces Andrew Stevens as the Hong Kong-based co-anchor of World Business Today. Stevens was bid a fond farewell from the twice-daily business program last week. Video below courtesy of forum member ginnyfan.